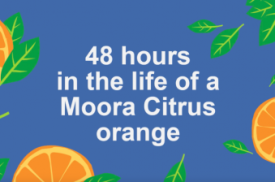 Whilst Moora Citrus is a small fish in a big pond when it comes to exporting to international markets, we’re certainly pioneering citrus exports for WA. 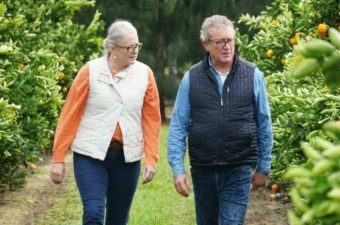 As the first WA company to ever export citrus into Japan, we’ve gained valuable experience to exporting our oranges to various markets including high protocol countries such as China. Our export numbers are incrementally growing each year from our modest one-and-only container for the 2014 season. Being able to be competitive in an international marketplace is critical. Australia produces some of the highest quality citrus in the world but we also have some of the highest production and processing costs. In a concerted effort to better equip WA agrifood exporting businesses to develop and implement strategies to capture export market opportunities and attract investment, the WA State Government announced the Grants for Asian Market Export program. In round one, seven WA agrifood businesses shared in more than $1.4 million in business grants, as part of the program to facilitate access to the growing premium export market of Asia. 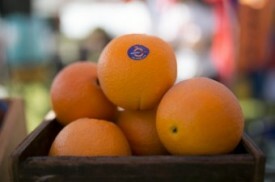 Moora Citrus was awarded $175,200 for our Premium Technology for Premium Markets project which seeks to increase our capacity to meet current and expected future volumes of high quality fruit suitable for high value export market. This project is supported by the Department of Primary Industries and Regional Development’s Grants for Asian Market Export program, funded by Royalties for Regions.